The leopard gecko, like many other lizards, is able to voluntarily shed its tail as a strategy to escape predation. These lizards are able to develop a replacement appendage through epimorphic regeneration that resembles the original, complete with nerves, blood vessels, and skeletal support. They all can regenerate tissue that has been removed! Except the first two tend to do it in a much more productive way. I had heard tell that lymphoid tissue (especially the thyroid and tonsils) could regrow – especially in Cowden’s Syndrome patients. (It makes sense in a way, PTEN is a tumor suppressor gene that is broken, so cellular overgrowth is common.) But, I chose to ignore it. Sometimes ignoring things for awhile allows you to deal with other things. 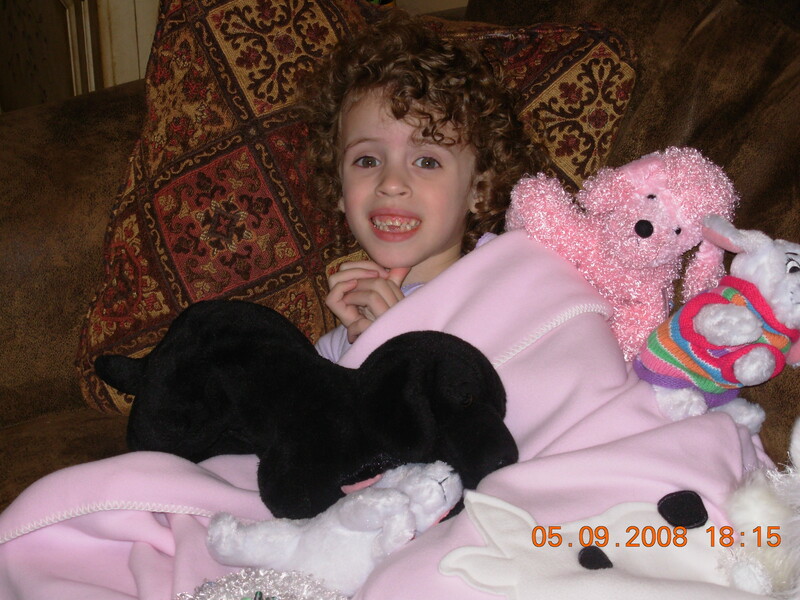 When Meghan had her tonsils and adenoids COMPLETELY removed in May of 2008 she was in the middle of a 12 week strep infection. Three months of antibiotics, and they were still pulling “heavy positive” cultures every 2 weeks. By the time they were to be taken out she was admitted for several days of antibiotics prior for fear of rheumatic fever. She was a chronic, almost constant strep sufferer. Then for about 2 years – nothing. No strep. I don’t remember the first time it came back. It was about 2 years ago. A full year before I ever heard of a PTEN mutation, or had any idea what Cowden’s Syndrome had in store for us. I thought it was odd, the strep coming back without the tonsils, but I chalked it up to a rotten immune system. Slowly the cases have become more frequent. It is almost constant. We don’t leave the pediatrician without a throat culture and a script for an antibiotic. Not all the cultures come back positive, but you can tell. The food avoidance, the tough time swallowing, the swollen glands, the puss in the throat. You just know. Lately it has been about once every 3 weeks. Way too many antibiotics to be good for anyone, but strep is way to serious to ignore. So, we keep treating, and wondering. That’s when I knew we were in trouble… again. Guess I should schedule that visit to the ENT! Next Stick Your Face in an Air Conditioner and Deal With It! Holy moly. I had my tonsils removed in 1991 and they were so huge they touched in the back of my throat. The size of walnuts. And I now have a tonsil tag. Ugh.